The Wool & Prince V-Neck Tee is a great option for both travelers and minimalists alike, providing comfort and plenty of wears between washes (without the stink). Although the fit seems slightly larger than true-to-size, this is easily one of the top Merino tees we've tested to date. We particularly love the 22/78 Nylon/Merino Wool blend, which feels great and has less pilling compared to other, similar options. 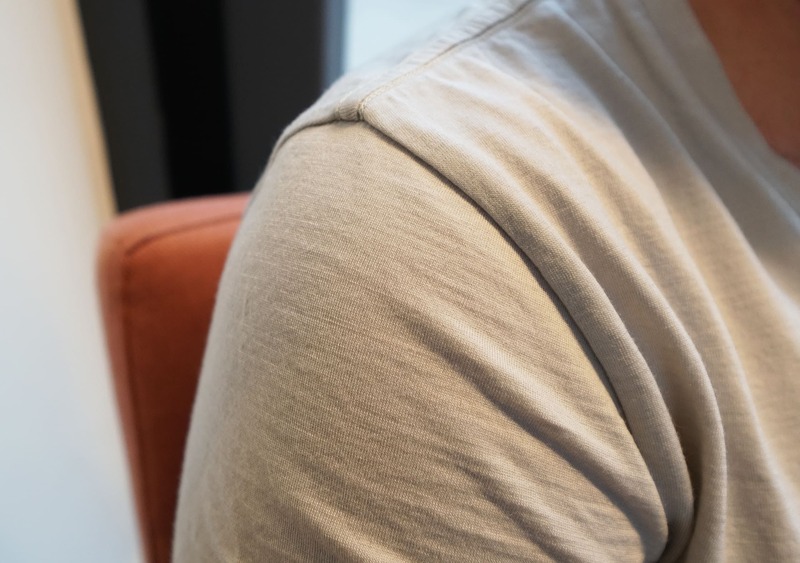 In this review, we are taking a look at the Wool & Prince V-Neck Tee, a shirt that we’ve been testing for over two months at the time of this review. In fact, this thing has seen over 30 wears without a single washing! Contrary to what you might think, you can still wear this thing in public without clearing out a room. If you haven’t caught on by now—or maybe you’re new around here—this shirt is, of course, made with Merino Wool. Merino Wool is great for travel due to its anti-microbial and anti-stink properties that are built right into the fabric—which is why this thing is still going strong and odor-free after 30 wears and counting without a single wash. But we’ve tested a bunch of merino t-shirts and clothing on this channel. Hell, we’ve even made a guide on how to care for the stuff. 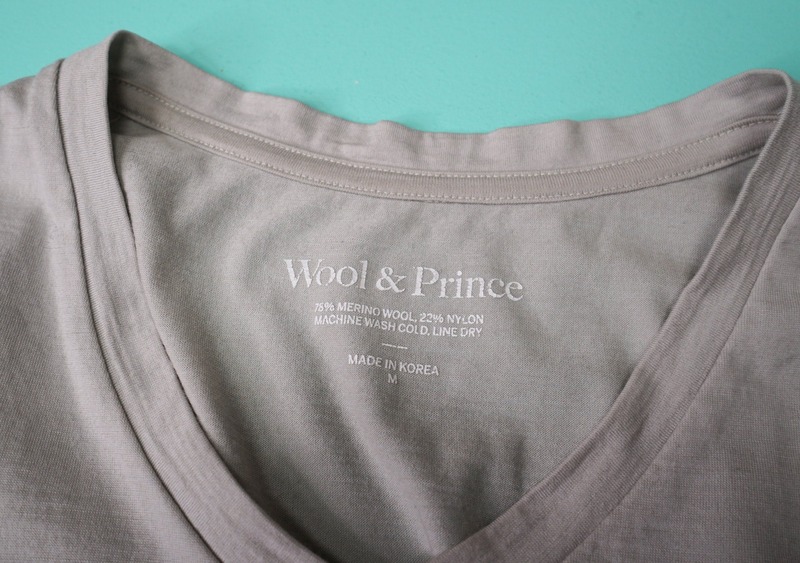 So, what’s the difference between this v-neck from Wool & Prince compared to other tees on the market? Let’s jump in and find out. Kicking it right off with the color, we’ve been testing the Silver Birch. It’s basically a very light gray and it does, in fact, look just like the color of birch bark! Wool & Prince offers a bunch of different colors and varieties on their website, though—they’ve got everything from long sleeves to crew necks, henleys, pocket tees and more. Depending on which type of shirt you go with, you may not have all of the colors available to you. The v-neck short sleeve tee currently comes in pacific blue, deep cobalt, black, and silver birch, while you might notice some darker grays and greens on the other shirt types. We’re assuming these colorways will change periodically into the future. We typically recommend selecting a darker color for travel because dirt and stains don’t show up as much and you can get more wears out of them between washes. However, we wanted to switch it up a bit and try a lighter color this time. We have had a couple small spills that we were able to quickly wash out with water and, while the water didn’t immediately resolve the problem, the stains did go away after a couple more wears. And again, this is without ever giving the shirt a full wash! Aesthetically, it pretty much looks like a normal t-shirt. It does seem to fit a little bit larger than true to size, although the taller folks on our team have been enjoying the slightly longer cut, which works well on taller frames. When you start looking at the cut and materials, you can begin to see the difference when compared to other Merino Wool t-shirts on the market. The GSM (grams per square meter—basically the weight of a fabric) is pretty much average for a t-shirt, right around 160. The fabric itself is a blend of 78% Merino and 22% nylon. What this really means is that there are thin nylon filaments wrapped directly around the Merino Wool, which makes this quite a bit more durable than something made of 100% Merino Wool. You still have the natural stretchiness of the Merino, but the nylon gives it a little bit of structure and holds everything together. Overall, we think this feels better than a 100% Merino Wool t-shirt. There is less pilling and it’s a little bit smoother to the touch. It’s kind of hard to describe with words, but it just feels really damn nice. Now, some will say that because this isn’t 100% Merino Wool there is more room for it to stink with fewer wears—however, in actual usage, we have not found that to be the case. And generally, we’ll take additional durability over anti-stinkiness any day of the week. Also, just as a quick aside, we have recently been testing the Outlier Dreamweight tee. It’s a prototype and not currently in stock on their website, but it is super light at 110 GSM. It’s a 25% nylon and 75% Merino Wool blend, so there’s a little bit more nylon than the Wool & Prince. Our main takeaway has been that this lighter shirt feels like it’s kind of floating on your body, and it doesn’t hold its form as well as the Wool & Prince. We think 160 GSM is just about the perfect weight to give you that average feel of what a typical cotton t-shirt would be while still getting all the benefits of Merino Wool. At the time of this review, this shirt has seen use over 30 times since late September when we received it, with zero washes. We have been air-drying it somewhat regularly, which we think has helped a lot, and there really aren’t any odors to speak of. If you were to use this frequently and store it in a crammed backpack, you’d probably start acquiring odors much faster—so, if possible, we’d recommend air-drying whenever you get the chance. One thing to note is that there is a bit of deodorant buildup around the armpits and it even has a slightly blue tint due to the particular deodorant in question (it’s Old Spice if you’re curious). This is not really specific to this individual shirt, but just something to bring up on Merino Wool in general. Whenever you’re wearing Merino Wool, you definitely don’t want to use antiperspirant. Ever. It’s just going to build up and you can’t get as many wears between washes. In general, it’s really not good for the fabric. Editor’s note: We’re still doing some testing to figure out the BEST deodorant to use in conjunction with Merino Wool clothing. If you have any thoughts on this, we’d love to hear from you. And if not, stay tuned for more info. And if you couldn’t care less about deodorant, well then…yeah, it’s not that exciting. We don’t really blame you. This deodorant issue is probably the only reason we would ever wash this shirt, to be honest. If we were to wash it—which we’re still kind of on the fence about—we’d do a cold wash and then lay it flat to air-dry. 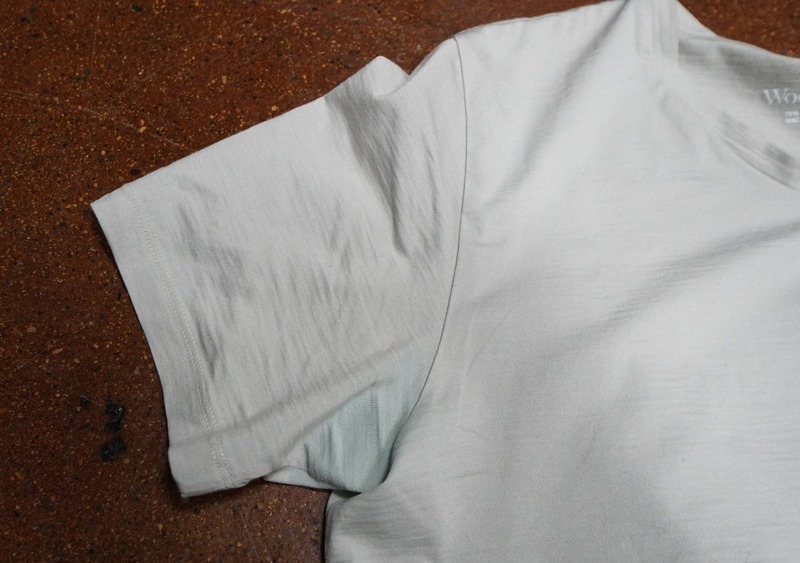 This is a method we’ve tested with other Merino Wool products from Woolly and Outlier, to name a few, and it’ll get rid of deodorant buildup and stains quite easily. We’ve put some other brands through the wringer with close to two years of testing in some cases, but we haven’t done quite enough testing with this Wool & Prince shirt to see, durability-wise, how it will hold up in the long run. 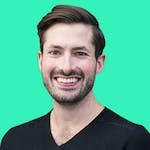 Things have been looking great for the first month or so—even with some really heavy use—but that’s not necessarily a guarantee it will last for years to come. We do have some experience with their Oxford shirts and have nothing but good things to report, so that is certainly a good sign. As always, we’ll be sure to keep the usage timeline updated below. 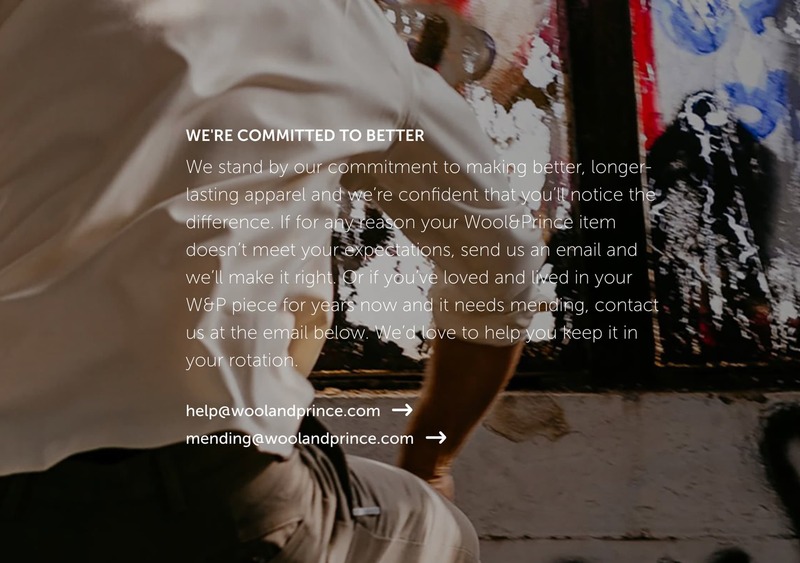 We should also note that Wool & Prince offers a 30-day window where you can either return or exchange your product as long as you haven’t worn it and the tags are still on. We’ll admit it—we’ve tried to break this rule by exchanging a shirt that had been worn a few times. All we’re going to say is…it didn’t go well. So if you do think you’ll need to return anything, we’d recommend being very careful with it in the interim. Standard practice for an online clothing shop, really, but we like to test as much as we can! And before we close this out, just a quick PSA on Merino Wool. You want to care for this stuff in a very specific way, so most companies will recommend that you wash it gently with cold water, preferably in a sink or something like the Scrubba Wash Bag, but you can also do it in a washing machine. After washing, you’ll want to lay it flat to dry, which will help maintain its shape. And for a more in-depth look on how to care for your merino wool, you can check out our guide on that very subject! Looks great and feels REALLY great, although the cut is a bit long. Still have yet to was this thing and it’s odor-free. Really loving this nylon/merino blend. Over 30 wears without a single wash and this thing is still going strong. No odors, or pilling, although some deodorant stains are starting to crop up on the lighter color. This is typical of Merino though – especially a lighter color. Plus, standard deodorants are sub-optimal, even versions without antiperspirant. 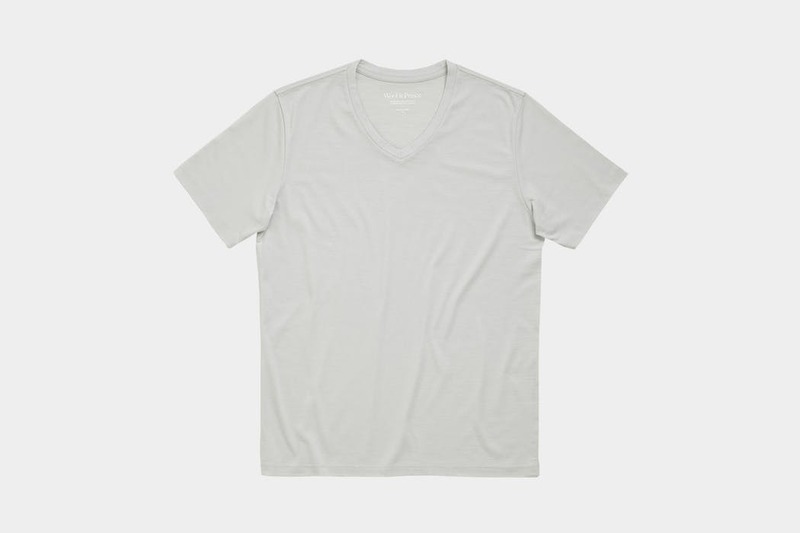 The Wool & Prince V-Neck Tee is a great addition to the wardrobe of travelers and minimalists alike, providing plenty of comfort and more wears between washes without the stink. Wool & Prince takes this one step further with the smooth blend of 22% nylon and 78% Merino, creating a well-crafted garment with additional durability. 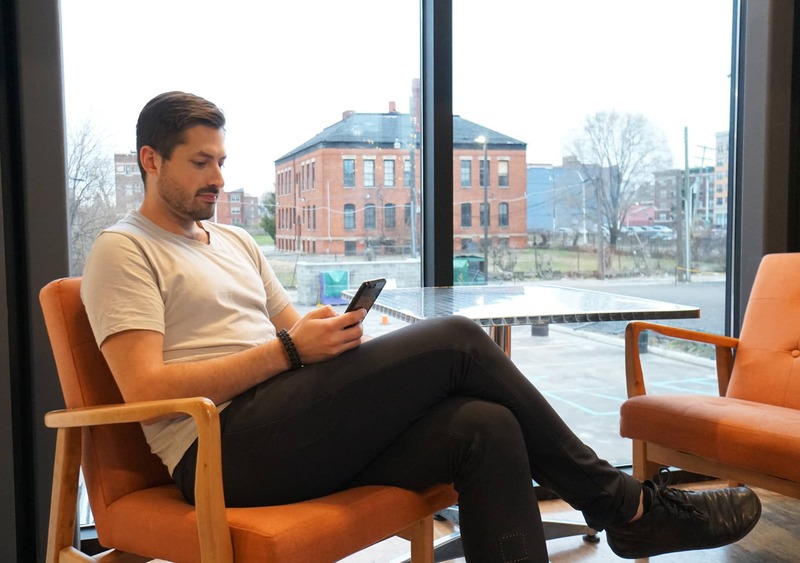 Although the tag on the shirt will likely wash out and the fit seems slightly larger than true-to-size, this is easily one of the top Merino tees we’ve tested to date due to the feel of the fabric and the less overall pilling compared to other Merino tees.